Larry Jones is originally from the Northern Virginia area where he began his career in real estate in 1972 specializing in land development and designing/building custom homes. Later, as a accomplished builder, he began several commercial real estate projects throughout the Northern Virginia area including shopping centers, multi-family apartment projects, ocean front condominium projects, regional airport expansion, and renovation projects. In his first year as a Realtor, Larry earned a “New Realtor of Year Award ” from his local Board of Realtors. Larry enjoys his work and is always looking for ways to give back to the community. His other accomplishments include: Founding Member of The Northern Virginia Commercial Real Estate Development Association, Past Board Member of The Developers of Ocean City Maryland where he designed and completed several award winning projects, and served as Builder-Realtor Committee Chairman for his local real estate board. He is also a Member of the “Million Dollar Sales Club”. As a result of his experience with custom built homes, land development and commercial development projects, he also served as Regional Sales Manager of Commercial Real Estate for a large independently owned company in Northern Virginia. After exploring various cities throughout Florida, Larry and his wife Andie chose to relocate to Cape Coral in 2004 with a mutual desire to “Live the Florida Lifestyle”. Larry and Andie have two daughters, one son and seven grandchildren. Larry is also a licensed private pilot, and enjoys flying, among other hobbies; boating, fishing (Andie’s favorite), hiking, accomplished equestrian, hunting, and trips to area beaches as often as time will allow. Larry’s favorite time is when he can enjoy the company of good friends and associates. 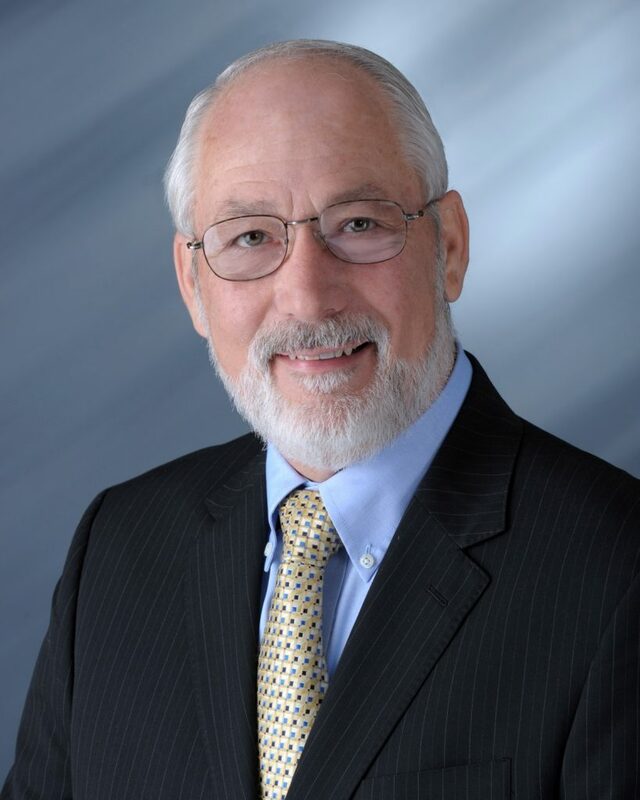 With decades of experience in several aspects of Real Estate, Larry is proud to be associated with the Miloff Aubuchon Realty Group and is eager to assist his clients in achieving their goals including the sale of real estate, seeking to purchase a personal home, or pursuing other real estate investments. Larry knows his success is measured by serving, assisting and connecting both buyers and sellers in achieving their personal real estate investment goals. Contact Larry to discuss how he may assist you as a client in reaching your real estate goals, ljones@miloffaubuchonrealty.com or 239.672.1523. A Raving Fan of Larry’s! “This letter is way overdue but in some ways is even more heartfelt and sincere and speaks to Larry’s assuring dedication to his customers over the years. Larry has been our advocate in the purchase or sale of 3 homes in the last two years. I remember the first time I called randomly and Larry got on the phone. He seemed so genuinely interested in speaking to us about the possible sale of our home and purchase of another. The tone and demeanor did not sound like baloney, just a professional wanting to help. Through the sale and purchase of 3 homes many twists and turns have come up and Larry calmly navigates us through the issues, remaining positive, although we most assuredly drove him crazy. Bottom line, Larry is a class act, consummate professional, the nicest guy you would ever want to meet and someone we are honored to be considered as his friends. Poor Larry is not done with us yet. We will probably be putting him through the wringer as we will probably will purchase another home in the next 5 years. We wouldn’t consider anyone else but Larry to represent us in another real estate transaction. It was our pleasure to have Larry Jones as our realtor for the sale of our Cape Coral home. It was a very stressful time for us since we had relocated to the north Georgia Mountains but still needed to sell our Florida house. We had been in our home for 20+ years and had totally remodeled, inside and out, to make it our own. Larry was professional, enthusiastic and so helpful in the listing, promotion and sale of our home. Miloff Aubuchon Realty is fortunate to have such a competent and personable agent in their office. Many thanks again to Larry for the fine job. We recently closed another home with our favorite realtor Larry Jones. Once again, Larry came through day and night 24-7 to make the closing as smooth as possible . We cannot say enough about Larry and his professionalism, honesty, integrity , and willingness to get the job done. Already, “ 24-7” real-estate he has now added “and appliance repair “ to his long list of qualities. Larry is such an asset to your team and is not one to toot his own horn but hopefully you appreciate ( as his customers do ) this true superstar working for Miloff . Larry is a straight shooter and master negotiator always making all parties feel comfortable knowing he respects and values each relationship.